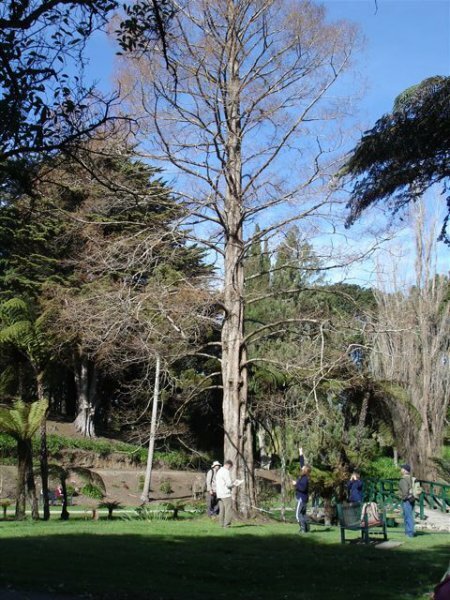 The largest of at least three dawn redwood trees at Virginia Lake. 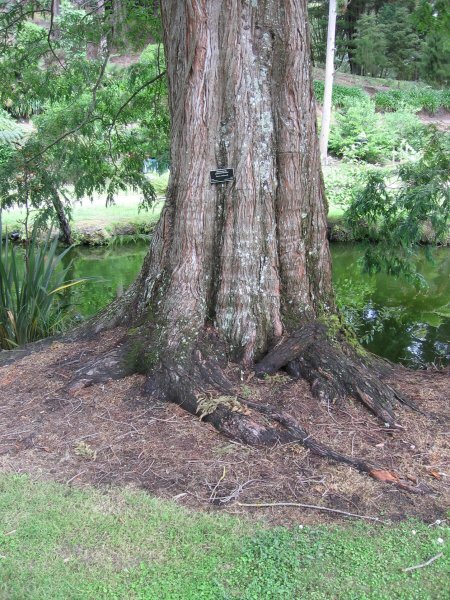 This tree is situated on flat ground and is just above lake level, therefore the ground is probably wet all year round (Ogle, C. 2009). In very good health, some wounding to surface roots by mowing equipment (Dec 2009). 07 Sep 2008 Ogle,C., Frost, P.G., Stevenson, B. Located at the top end of Virginia Lake on a ‘peninsula’ between the stone bridge and nearby wooden bridge.